Live video streaming starts with the right tools. Today’s viewers demand instant access to content — across the globe and on any device. Encoding, transcoding, distributing, and viewing all begin with proven streaming services. From camera to playback, Wowza’s got your back. We’ll help you at every step of the way, no matter your use case. Let Wowza be the foundation for your next big idea.  Wowza's live-streaming products and solutions are built to deliver high-quality, dependable live streams for every use case and industry. Embed IP camera streams into websites and mobile apps to broadcast video without needing a separate encoder. Take your local events to a global scale by live streaming concerts, sports, and more. Deliver leading-edge broadcasts to any device and connect with your viewers wherever they are. Stream your live event to any device and any network, cost-effectively, with transcoding for adaptive bitrates. Simply point your IP camera feed or RTMP, RTSP/RTP, or MPEG-TS stream to the Wowza server and let us do the rest. Send your live streams to CDNs, video-sharing websites, and more for built-in scaling and redundancy. Leverage Wowza APIs and third-party integrations to build a solution that's just right for you. Connect the Wowza GoCoder mobile app to Wowza software and services to capture, encode, and stream live video over Wi-Fi, 4G, or 3G. Enrich your users' experience with features from basic stream recording to cutting-edge time-shifted functionality with Wowza's recording capabilities. With the new Wowza premium support packages, a support agent will respond immediately to issues during your live events and even help with setup. What's the Best Live-Streaming Solution for Me? The Wowza Streaming Cloud end-to-end live streaming service offers a managed infrastructure, a free player, autoscaling to any size audience, and a REST API (preview). Wowza Streaming Engine media streaming software gives you the ability to deploy on premises or in the cloud, complete server-level control, cost-effective monthly pricing, and Java and REST APIs.